LONHRO (AUS) (Brown 1998-Stud 2004). 26 wins-2 at 2, VRC Australian Cup, Gr.1. Champion Aust. Sire 2010-11. 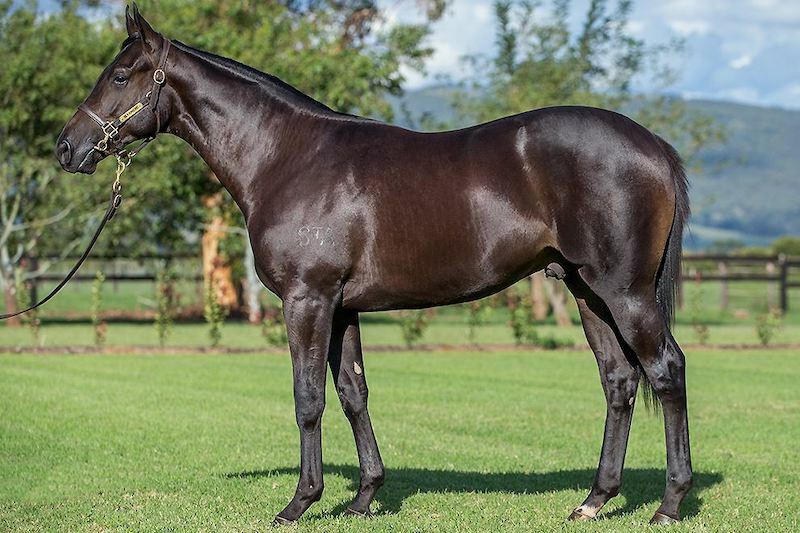 Sire of 1185 rnrs, 861 wnrs, 82 SW, inc. Pierro (ATC Golden Slipper S., Gr.1), The Conglomerate, Bounding, Mental, Impending, Denman, Beaded, Exosphere, Kementari, Lyre, Aristia, Benfica, Pinwheel, Heatherly, Wawail, Academus, Messene, Cardsharp, Encryption, War Heroine, Holding Gold, Isotherm, Souchez, Ghisoni, Lonhspresso, Obsequious, etc. Molten (g. by Street Cry). 5 wins to 1300m, A$115,460, to 2018-19, ATC TAB H., 2d Perth Racing Gerard Lighting H.
RINGO (Fastnet Rock). 8 wins from 1350m to 1600m, NZ$323,310, A$38,150, Hawkes Bay GR Kelt Memorial H., Gr.3, Marton JC Central ITM H., North Canterbury RC Couplands Bakeries Mile Prelude H., Hawkes Bay Let's Go to Turks Spring Final H., Waikato RC Clinique Elan Appearance Medicine H., Wanganui Steelformers H., 2d CJC Coupland's Bakeries Mile, Gr.2-twice, Feilding Gold Cup, L, Rangitikei Gold Cup, L, VRC Lola's Gift H., CRV Winter Championship Series H., 3d WRC Captain Cook S., Gr.1, Thompson H., Gr.3, CJC Coupland's Bakeries Mile Trial H., Marton JC Norwood Farm Machinery Centre H., Feilding JC Courtesy Ford Redcraze Bowl H., 4th Otaki Maori RC WFA S., Gr.1, CJC Great Easter S., L, Wanganui JC Challenge S., L-twice. Alakris. 4 wins from 1400m to 1950m, A$87,860, 2d MRC Le Pine Funerals H., MRC (Mornington) European Auto Refinishers H., 3d VRC Skipton H., GCTC Alan Thomas H.
Bantry. Winner at 1600m in 2018-19 in Aust. PINNACLES (Fuji Kiseki). 11 wins from 1100m to 1600m, A$1,002,270, SCTC Glasshouse H., L, 2d MRC Sir Rupert Clarke S., Gr.1, VRC Winter Championship Final H., L, 3d AJC Doncaster H., Gr.1, SAJC RA Lee S., Gr.3. MANZEAL (Zabeel). 11 wins from 1200m to 4000m, A$398,810, QTC Eagle Farm S., L, AJC Mick Young Winter P.H., VRC Trevor Clarke S/chase, Crisp S/chase, AJC Fairfield RSL H., Fairlight H., STC Concierge Day H.
(LORD) MICK (Lord Ballina). 7 wins from 1300m to 1600m, NZ$13,200, A$169,090, Balaklava Cup, L, MRC Turf Ruler H., SAJC Mistral H., 2d MVRC Waterford Crystal Mile H., Gr.2, 3d SAJC WH Wylie H., L, John D Lee S., L, MRC Australian Bridal Service H.